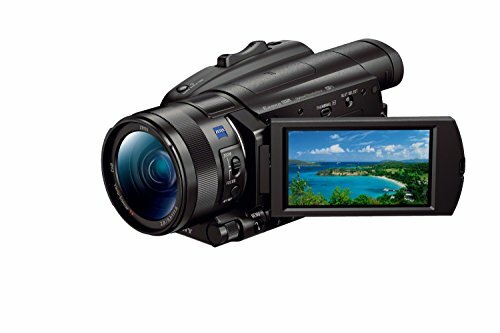 The DB Power 1080p Sports Camera is aimed squarely at those who are interested in a GoPro but don’t want to spend a lot of money on the camera and accessories. Not a problem with the DB Power camera, it comes with a bewildering array of accessories, as well as a case you get accessories for using this on a bike, helmet, dashboard, belt…the list goes on. The actual camera itself is a dinky little thing and has the advantage of a built in screen on the back allowing you to frame your photos/video. 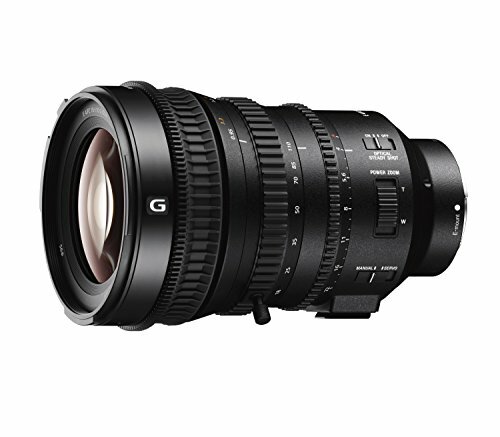 It’s easy enough to operate and allows you to take both video and photos. The included case feels very rugged and, according to the manufacturer, makes the camera waterproof up to 30 meters. There are buttons on the case, but at times they felt sticky and didn’t always pop back out fully, but that didn’t seem to cause a problem with the camera and it’s great that you don’t need to remove the camera to access the buttons. It’s great you get some many accessories, but, as you might expect for such a low cost, they don’t feel great quality, for example the handlebar mount kept coming loose and had to be readjusted several times. However the camera itself is a great little camera for the price. Picture quality is very good when movement is relatively stable (eg walking around), but does suffer from a lack of stabilization when used in ‘bouncy’ situations, such as off road biking. Photos are OK but are unlikely to replace your camera/mobile. 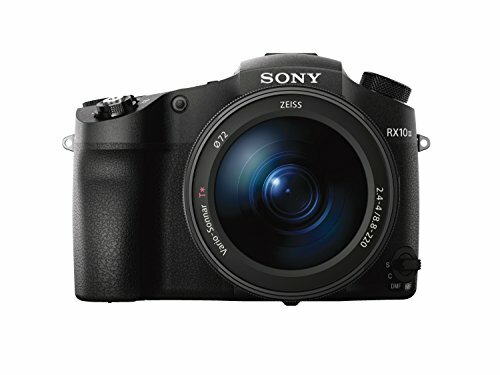 It’s not a perfect camera, but it’s easy to overlook the shortcomings due to such a low price. 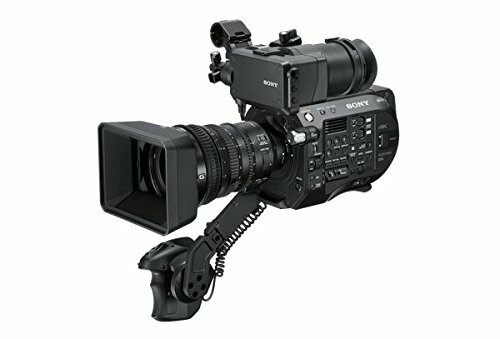 It’s a good way to see if you’d find a GoPro style camera of use before making an investment in a higher cost action camera. After sales service:If you receive a successful transaction after our products, if the parents have any dissatisfaction, please contact our customer service. We will definitely handle your satisfaction. 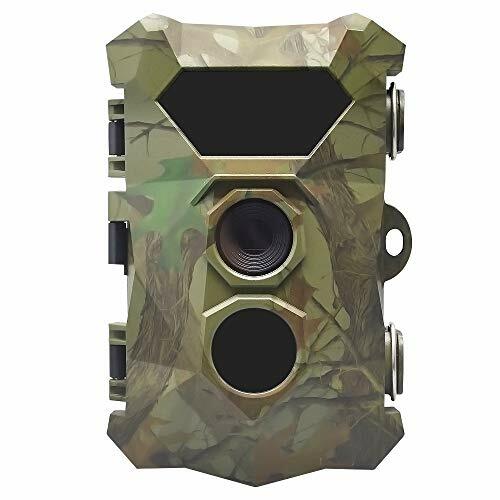 --Superior Image and Video Captures: The trail and game camera captures 12 megapixel crisp clear photos and 1080P video with sound. Adjustable resolutions are available for both still images and videos. --Super Fast Trigger Speed: Unique PIR sensor offers lightening fast 0.5 second trigger time and 65-feet flash range, with 70 degree camera lens angle, you'll never miss any of breathtaking moments by multi-shot feature which can take up to 3 pictures each time. --Long Night Vision Range: Built-in 2 invisible, high power infrared LED lights provide up to 65 feet night time vision, which makes this camera a stealthy unit that does not intrude into the natural habitat. --Convenient Observation: 3 capture modes (Photo, Video, Photo / Video) allow you to select the proper mode for different observation, which gives you more convenience for hunting. The 2.4-inch LCD color display exactly shows the accurate data in the photo or video for observing the animals or plants. --Long Battery Life and Durable: This camera runs on 8 AA batteries (not included), which can reach up to 16 months long battery life.IP66 waterproof and and can be left outdoors for long periods. 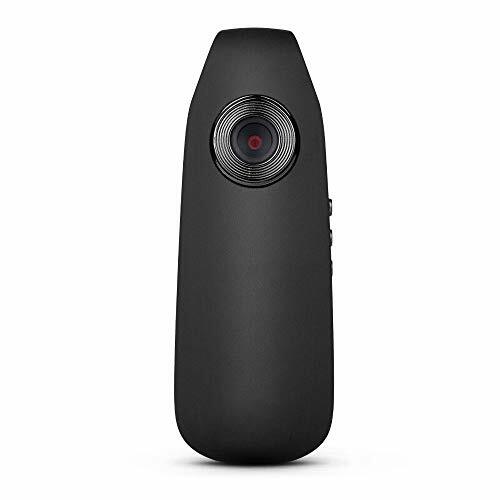 Longer Battery Life: 2 rechargeable 900mAh batteries , each battery records up to about 70 minutes /1080P, about 40 minutes/720p , no more worry about the recording time for this action camera ; charge time : 3 hours . Storage Setting: Direct support for micro SD cards up to 32GB, 8 hours video recording in 720p and 5 hours in 1080p; Suggest to use certified Class 10 or above Micro SD card with the storage at least 8GB and at most 32 GB and format it on action camera before use. 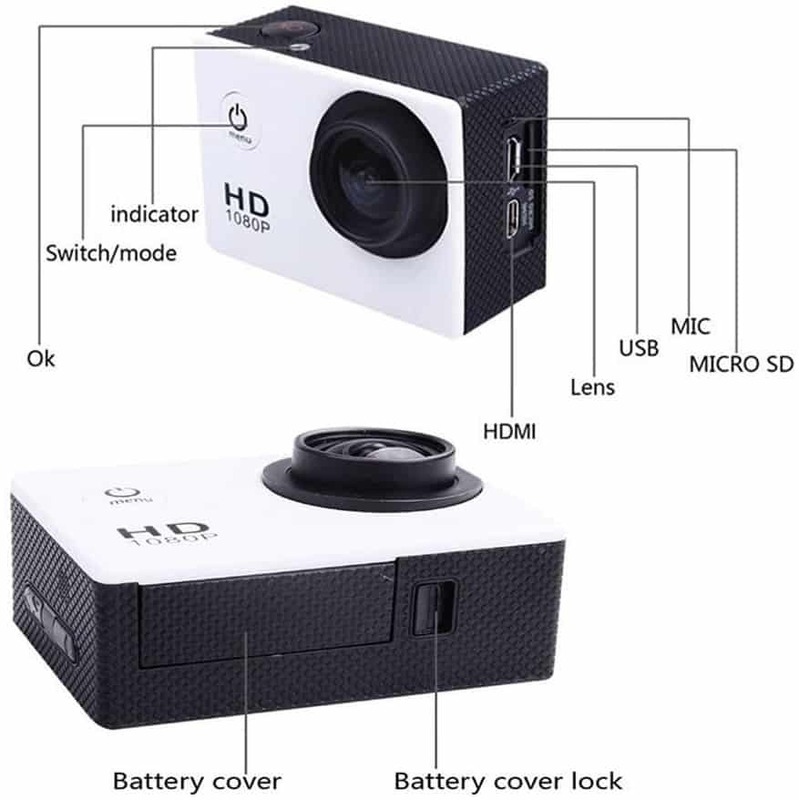 98 Feet (30m) Waterproof Camera: Durable waterproof shell helps you capture wonderful underwater scene up to 30 meters. Abundant Accessory Kits: 16 fascinating accessories, including 2 rechargeable batteries, available for kinds of sports, such as cycling, motorcycling, running, diving, skiing, snorkeling etc . 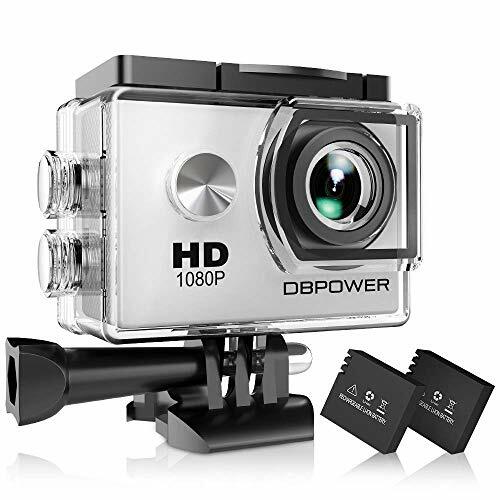 The DBPOWER action camera works with all Go Pro mounts.